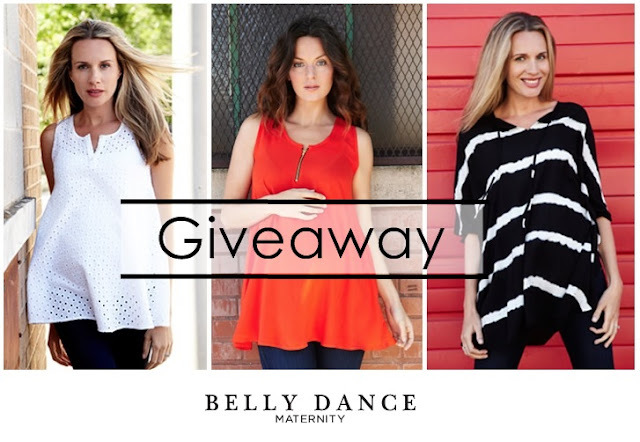 Babblings of a Mommy: Belly Dance Maternity Giveaway!! The giveaways just keep rolling in for you lovelies! And this one is for you new moms and moms-to-be. Belly Dance Maternity is an apparel company that offers hip maternity clothes and stylish pregnancy fashions. If you thought maternity clothes can't be chic - think again! Belly Dance Maternity is all about celebrating pregnancy while making you look good and feel good. From comfy tees to designer jeans and gorgeous dresses, they have styles to fit every baby bump! Belly Dance Maternity wants to help you celebrate your maternity style by offering one of my readers a $75 gift card to their their store and a 20% discount to all my readers!! Use coupon code: babblings20 (valid for one month). To enter simply follow the instructions below. Open to US residents only. The tops in the picture are so cute. I would definitely love to have the black and white one. a bravado silk nursing bra! I like the Michael Stars Maternity Makeup Deep Placket Tee. I like the Isabella Oliver Black Cap Scoop Top. Love the Olian Black Mandy Knot Dress! I love the Navy Labyrinth dress. Thanks for the giveaway! Very cute, very sturdy bra. The sequins are all very secure on this piece and the halter neck is comfortable. However it does run a bit small so if you are trying to "get away" with ordering as is and you think you are on the larger side of your cup size definitely put in custom notes and go for the next size up.